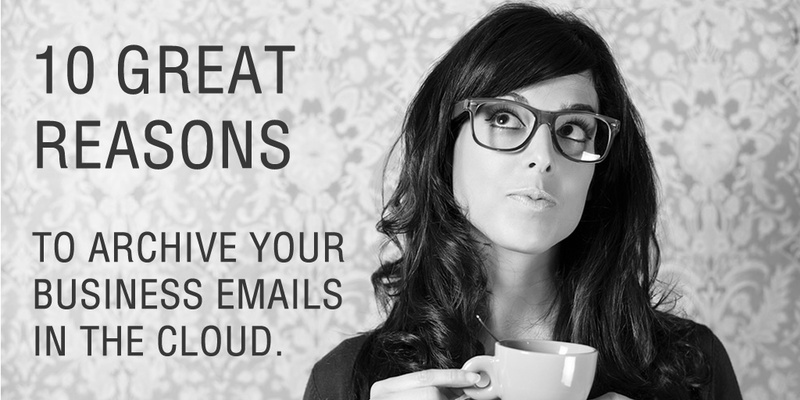 10 Important Reasons To Archive Your Business Emails. For most organisations, email has become an essential part of daily workflow and communications. However, many businesses are unaware of the importance of archiving their emails and having an email retention strategy. Who knew Email Archiving was so important? Many professionals from various industry sectors such as the legal and financial sector, are either unaware that they need to archive their emails and what can happen when there is no archiving system in place. Other professionals are aware they need to archive their emails and want to find out more about why it is important to do so. This article will cover an overview of archiving email and some of the key reasons why it is extremely important for your company to develop an email retention policy. CLICK BELOW TO OPEN THIS ARTICLE AS A WHITEPAPER. Or continue reading the article below. An email archiving solution is designed to store emails in their original state for the purpose of easy retrieval during daily business operations. Additionally, email archives are used to protect your company in the event of litigation and to keep you in line with industry compliance standards. The archive is stored at a secondary location (either on-premise, or typically in a secure cloud environment) and utilises an automated system that extracts email message contents and attachments from your chosen email accounts. The contents are then stored in an indexed read-only format where you can use advanced search tools to locate specific messages and documents. Archiving your email will also free up valuable storage space, reducing the pressure that’s placed on your internal Email server hardware. It also provides you with a central location where you can easily access email content. This helps your organisation in the event of a legal issue and prevents problems associated with accidental deletion or loss of email messages. IS THERE A DIFFERENCE BETWEEN EMAIL BACKUP AND EMAIL ARCHIVING? When understanding an email archive system, it is important to mention archiving is different than email backup and storage. An email archive system keeps all messages and attachments in a format that has not been modified with the capability to easily search for specific messages. A simple storage system merely backs up email on a server and generally does not provide search functions and a read-only unaltered format necessary for regulatory and legal examination. Each industry sector has specific compliance standards and regulations when it comes to data security and retention. To remain in compliance, organisations in each sector must follow a process for retaining data and this includes email messages and attachments. The data must be stored in a way that allows easy access and retrieval in a timely manner. Industry sectors such as financial, healthcare, government, and energy commonly face strict compliance regulations. Email archiving helps to meet these standards which often require the retrieval of data in its original format. Email archiving provides your organisation with the protection and support necessary if your organisation becomes involved with a legal proceeding. This is commonly known as litigation discovery which is the process of retrieving and submitting data upon request. Without email archives, the cost of retrieving data for a legal proceeding could be as financially damaging as the litigation itself. Additionally, you must be able to access documentation in the event of a compliance audit, business investigation or other matters that can transpire. If you use an email archive, this ensures secure storage in a place where the content cannot be altered. It also provides you with better support during an early case assessment, legal holds, and litigation discovery. Email archiving solutions are designed for easy retrieval of individual email and attachments. If an end-user accidentally deletes or misplaces an important email, it can be retrieved quickly using a quality email archive solution. When the email is retrieved, so is the metadata which makes it easier to filter through the data summary to locate the content you are searching for. Depending upon the size of your organisation, old emails can provide a large amount of intelligence regarding your company. By using an email archive, you can leverage insights and data analytics from the past to keep your business moving forward. For example, you can search an email archive for old messages between your sales team and your customers. This helps you to make improvements by measuring the response rates, customer service issues, and more. By accessing the intellectual property on your company, you can easily see areas where business processes can be improved. Since email is an important tool for business productivity, you can accumulate a large amount of data in a short period of time. This means reduced server space in your primary storage location and compromised performance with business applications. By moving the data to an email archive, you can save money on the cost of storage. It also allows your staff to retrieve data faster and prevents the threat of a catastrophe such as a server crash. Additionally, it provides peace of mind that your emails can be recovered in the event of data loss. 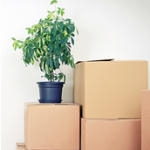 In addition, your storage requirements are significantly reduced with smaller inbox sizes. The end user can access archived messages via a web dashboard or right from the mailbox. The email archive system also acts as a knowledge repository that provides access to powerful knowledge management tools including advanced search techniques, email sorting, content retrieval, keyword searches and other tools that help to make the business more productive. Using an offsite email archiving solution reduces costs associated with IT maintenance. 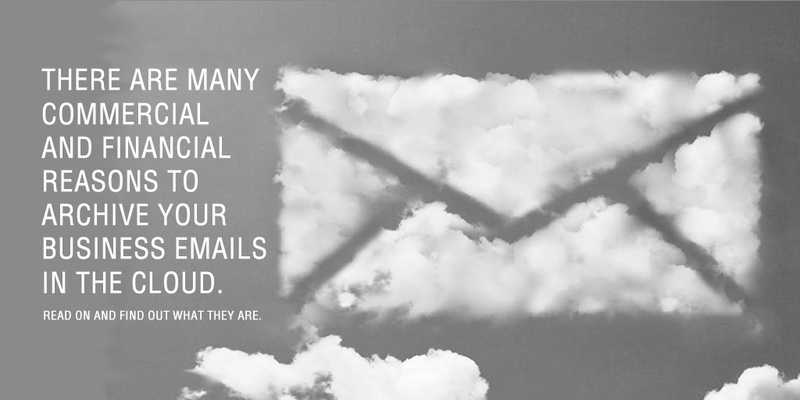 This is especially true if you choose to archive email messages with a third party such as a cloud service provider. You pay a low monthly subscription while the cloud provider maintains the service and security. This allows you to use the cost savings for other important business initiatives. Email archiving also helps with business continuity when your personnel changes. If you hire new employees, they can easily search the archive for useful information they otherwise would have missed out on. It also helps new employees to become familiar with customer history which helps them provide better customer service. Instead of archiving emails using a manual process, the email indexing is automated. This prevents the end user from having to waste time managing large amounts of data which is probably not their responsibility in the first place. It also ensures the data is managed from one location which reduces the chances of accidental deletion or loss due to lack of a backed up device. Using an email archiving solution helps to free up time for your staff which allows them to be more productive. It also makes your organisation more efficient as a whole. By using an email archive, you are empowering your employees with the tools they need to retrieve email content at a moment’s notice. Email archiving allows your organisation to store critical business data for the long term. This means reduced costs when it comes to development of a disaster recovery plan. When you consider all of the important content that passes through incoming and outgoing email messages on a daily basis, what would happen if there is an outage as the result of a disaster? With an email archiving solution you never have to worry about data loss. Plus, your business can be up and running again within a relatively short period of time. In addition to being aware of the key reasons to archive your emails, you should also be aware of the different approaches you can take to preserve email communications. There are basically two types of strategies for archiving your email content. 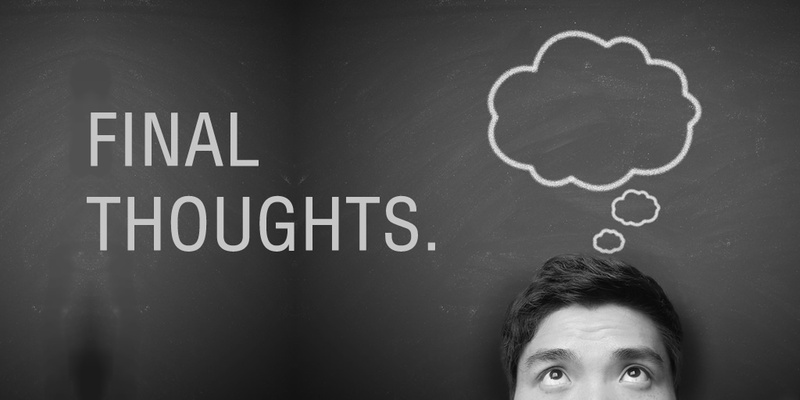 2) you can opt to seek a hosted solution from a third party cloud service provider. The on premise solution archives emails on a server maintained by your organisation. This solution is often used by businesses concerned about data control and confidentiality. A cloud email archiving solution is more cost effective since the service provider worries about infrastructure maintenance and security. Most cloud service providers must meet specific security compliance requirements before they can offer archiving solutions and undergo a routine audit to retain their compliance certification. This makes confidentiality less of an issue and saves on the costs of maintaining an in-house infrastructure. Regardless of the solution you choose, keep in mind that the solution must offer advanced search tools that make it easy to search and restore archived emails. The email archiving solution should also provide automation to prevent the archiving process from becoming tedious and time consuming. Quality archiving solutions provide automatic indexing of all email messages and attachments. Your business email is protected no matter what happens. Your business knowledge is retained, your Intellectual property is protected and you will remain compliant with statutory regulations. Ultimately, an email retention policy is positive for your company’s bottom line. CONTACT US TO FIND OUT MORE ABOUT OUR EMAIL ARCHIVING SOLUTION FOR BUSINESS.